Oli Solivellas, extra virgin Olive oil D.O. In the area of Alcudia is located Guinyent Farm. The climatic conditions of the Tramuntana provide sun and rain, which with the sea breeze creates a an excellent climate for olives trees. Only the strongest and fittest olives will be used. 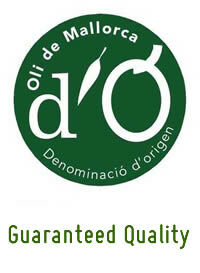 The highest quality will be guaranteed by processing it by hand without chemical processes. The oil is produced from the Arbequina and Picual varieties. 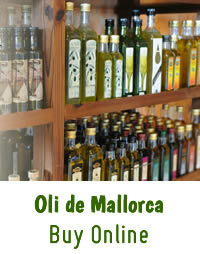 Therefore it results a balanced olive oil, with fruity and spicy aroma.